To paraphrase Leo Tolstoy – which is the sort of thing Woody Allen does all the time – each good Woody Allen film is good in its own way, but all bad Woody Allen films are alike. I wouldn’t presume to tell you how to make a film like Sleeper, or Love and Death, or Annie Hall, or Manhattan, or anything from that astonishing purple patch in the 1980s when he was still hanging out with Mia Farrow. All these films are touched by greatness, and each one is unique. 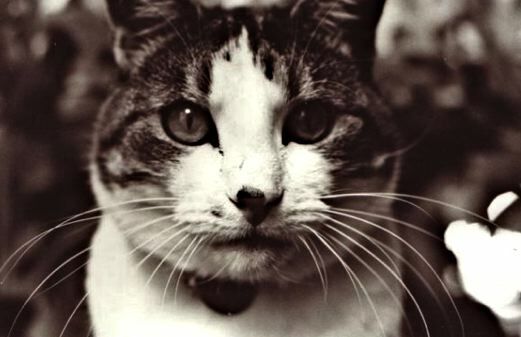 But churning out nearly one film a year for almost half a century is verging on the pathological – as though film-making itself has become one of Allen’s nervous tics. As if he’s unable to slow down and rework one of his screenplays, even if he wanted to. With a work rate like this, a few duds are inevitable. We might not all agree as to which the clunkers are, but the elements are now so familiar you too could probably cobble together a bad Woody Allen film. 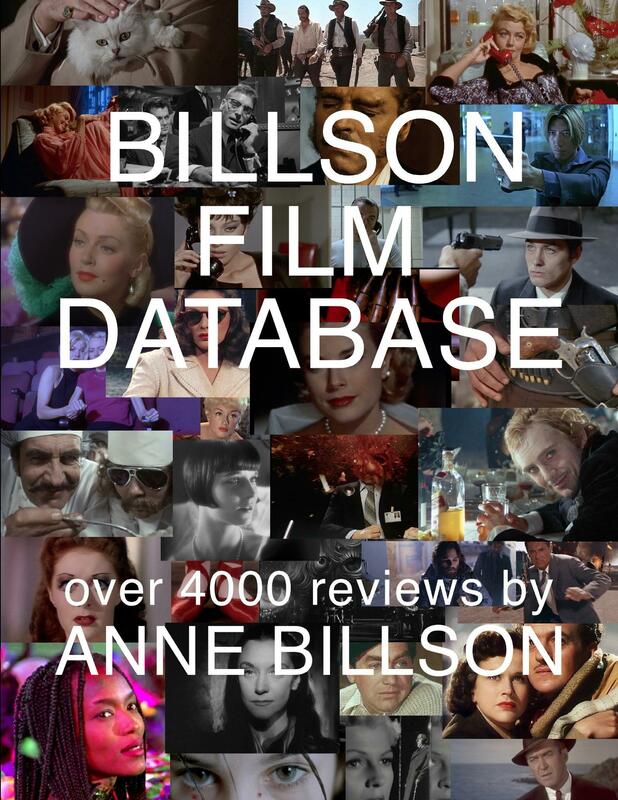 Though of course it helps if A-list actors are clamouring to work with you, and cinematographers like Darius Khondji or Vilmos Zsigmond are on hand to ensure the results are at least beautifully photographed. The opening credits are easy. From Annie Hall onwards, with a single exception (Interiors), all Allen’s have been in white Windsor Light Condensed against a black background. It’s his signature, so that when other film-makers use plain white on black in the opening credits (When Harry Met Sally… for example) you know they’re aiming for that Woody vibe. And the soundtrack? Take your pick from a) Cole Porter or Irving Berlin, b) popular classical pieces, or c) trad jazz by outfits with names like The Hot French Diddly Doo-Dah Club. (The exception is Cassandra’s Dream, in which the incongruous Philip Glass score sounds like some sort of bizarre avant-garde experiment.) In any case, the music should sound crackly, as though recorded directly off Woody’s own treasured private collection of 78s. But whatever the music, it will come in useful when you want to plug a gaping hole in your screenplay, or don’t know how to get from one scene to another. 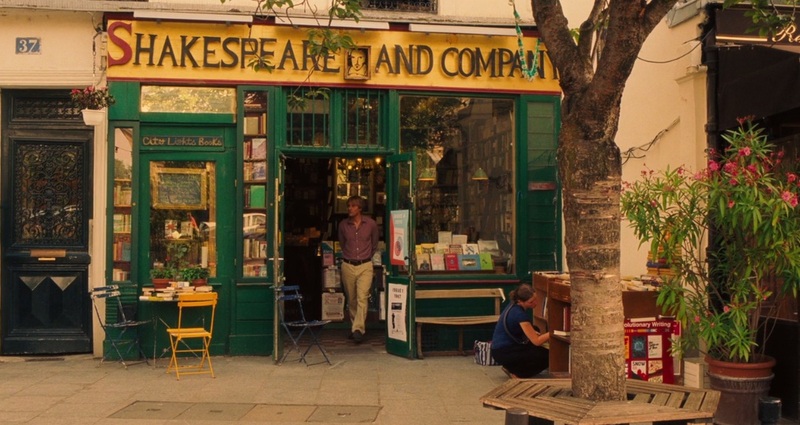 Owen Wilson visiting Shakespeare and Company – a vital stop on any American tourist’s visit to Paris. Film what you know. Allen’s traditional stomping ground is, of course, Manhattan. More specifically – moneyed upper-middle-class Manhattan, where everyone dwells in the sort of apartments the rest of us can only dream about, wears colour co-ordinated knitwear and goes to the opera, or stands around making quips at art exhibitions. Since the turn of the century, he has been venturing farther afield, with what might charitably call “mixed results.” And yet he is still filming what he knows. His knowledge of London, Paris or Rome is accordingly limited to that of a wealthy American tourist who stays at the swankiest hotels, dines at the poshest brasseries, and meets only the most stereotypical examples of the natives. He seems to have exhausted his own first-hand experience, but shows no real interest or curiosity about anything outside it. 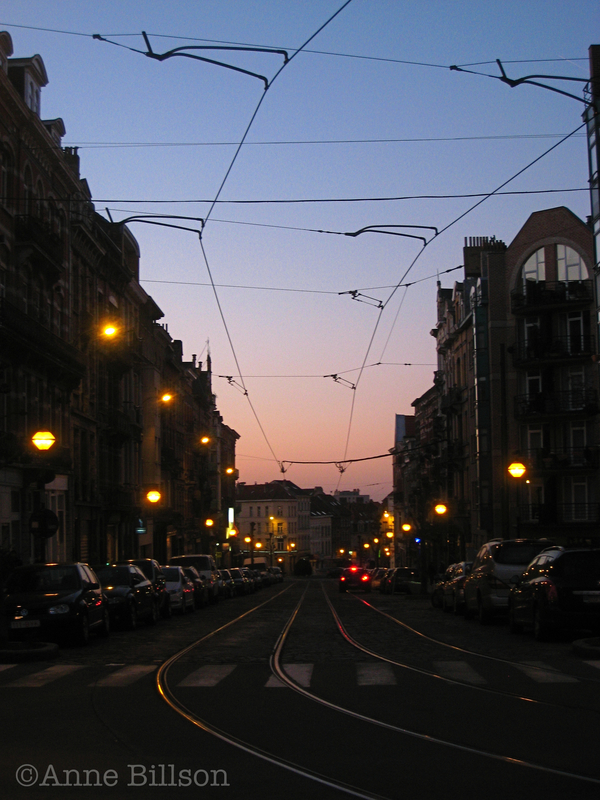 His Italians are loveable buffoons, madonnas and whores who might have stepped right out of Big Deal on Madonna Street. His Spaniards? Hotblooded, of course! His upper-class English twits in Match Point and Scoop seem as off-kilter to native Brits as his attempts at portraying the lower orders in Cassandra’s Dream (in which Ewan McGregor’s character memorably declares, “Well, it’s been a day of shattered hopes for you, me and Howard”) and Blue Jasmine. These are not real people – they’re gleaned not from life but from old films or old TV. Like Barton Fink in the Coen brothers film of the same name, Woody Allen is just a tourist with a typewriter. Kenneth Branagh (as the Woody Surrogate) and Charlize Theron in Celebrity. The Woody Allen Role. There is always one of these in the comedies – a witty, cultured, self-deprecating neurotic. It used to be played by Woody himself, but since John Cusack filled in for him in Bullets Over Broadway, he has been increasingly casting surrogates. Sometimes the stand-in does a direct impersonation, like Kenneth Branagh in Celebrity; sometimes he adds unexpected shades, like Owen Wilson in Midnight in Paris; sometimes the results are mind-boggling, as when Scarlett Johansson, playing opposite the Woodster in Scoop, seems herself to be mimicking her director and co-star’s mannerisms. The Ignorant Woman. It’s debatable as to whether Allen has written a decent female role since his bust-up with Farrow, though having the likes of Cate Blanchett or Naomi Watts on your team will go a long way towards investing an underwritten caricature with depth. But from Mighty Aphrodite onwards, Woody’s women have tended to be ignorant hookers (You Will Meet a Tall Dark Stranger, To Rome with Love), ignorant ingenues (Whatever Works), ignorant and needy femme fatales (Match Point) or ignorant and greedy ex-showgirls (Small Time Crooks). Larry David mansplaining to ignorant Evan Rachel Wood in Whatever Works. Anthony Hopkins mansplaining to ignorant Lucy Punch in You Will Meet a Tall Dark Stranger. Woody Allen mansplaining to ignorant Mira Sorvino in Mighty Aphrodite. 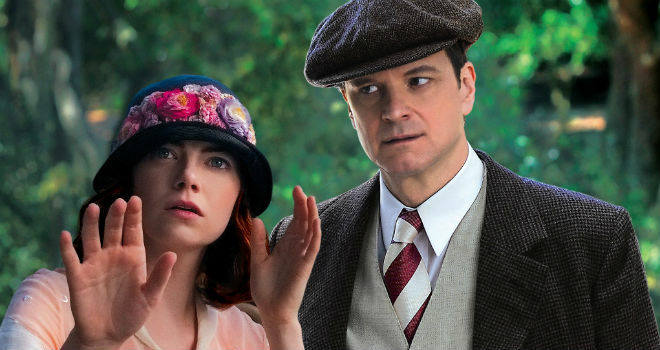 In Magic in the Moonlight, Emma Stone manages to make her lower-class character as delightful as she is. But she can’t tell the difference between Dickens and Shakespeare! Her leading man, of course, will have to teach her. Please note I am not saying female characters shouldn’t be ignorant, or greedy, or possess any other negative traits. But the women portrayed by Diane Keaton, Mia Farrow or Dianne Wiest in Allen’s earlier films are multi-faceted individuals who couldn’t be more different from the one-dimensional cartoons that came after them. Early Allen would have cooked up something magnificent for talented comediennes like Rachel McAdam or Greta Gerwig. Late-period Woody wastes them in one-note nothing roles. The Age Gap. The one everyone remembers is in Manhattan between Allen and Mariel Hemingway, 26 years his junior. (Revisionism has since decreed their relationship was creepy, though in fact it was quite touching and sweet – and he even allowed her to be smarter than him.) But there were 27 years between him and Helen Hunt in The Curse of the Jade Scorpion, 32 years between him and Mira Sorvino in Mighty Aphrodite, a whopping 33 years between him and Debra Messing in Hollywood Ending. 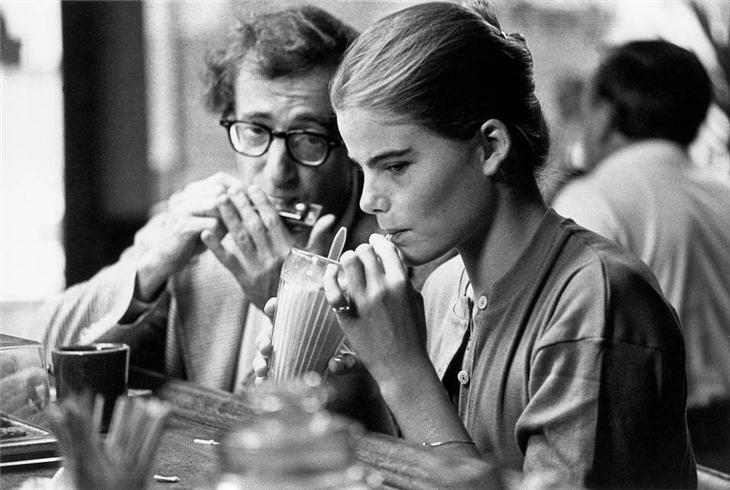 Woody Allen and Mariel Hemingway in Manhattan. The pattern continues with the surrogates. I have no moral objection to May-September romances (and indeed it would be hypocritical of me if I had, since I’ve participated in more than one in real life, in both the May and the September roles), but it strains credibility when the lovely young thing has to fall head over heels for a charmless old codger like Larry David, 41 years older than Evan Rachel Wood in Whatever Works, or an atypically unappealing Colin Firth, 28 years older than Emma Stone in Magic in the Moonlight. Name-dropping. “She knows names, she knows buzzwords, she knows certain cultural phrases that imply that she knows more than she does,” Alec Baldwin says of Ellen Page’s character in From Rome With Love. We are supposed to despise her, to consider her an intellectual charlatan, yet this is precisely what Allen himself has been doing from Year One: namedropping Dostoevsky, Rilke, Faulkner, Heisenberg et al. We’re not told anything meaningful about these people or their work; just their names are enough to impress us, allowing us to pat ourselves on the back and chuckle knowingly each time we clock one of the references. In this respect, Midnight in Paris is the quintessential Woody Allen movie. There are interesting points about nostalgia thrown in, almost as an afterthought, and Marion Cotillard looks adorable in flapper gear (as does Stone in Magic in the Moonlight – seeking refuge in the past is another Allen trait) but the bulk of the film is Namedrop Central, with the names appearing in person: “Ah’m Zelda, by the way”; “Some friends have gotten together a little party for Jean Cocteau”; “I was just telling Pablo that this portrait doesn’t capture Adriana”; “I was just telling Matisse”; “Look, oh my God, Toulouse-Lautrec!” And so on, ad infinitum. 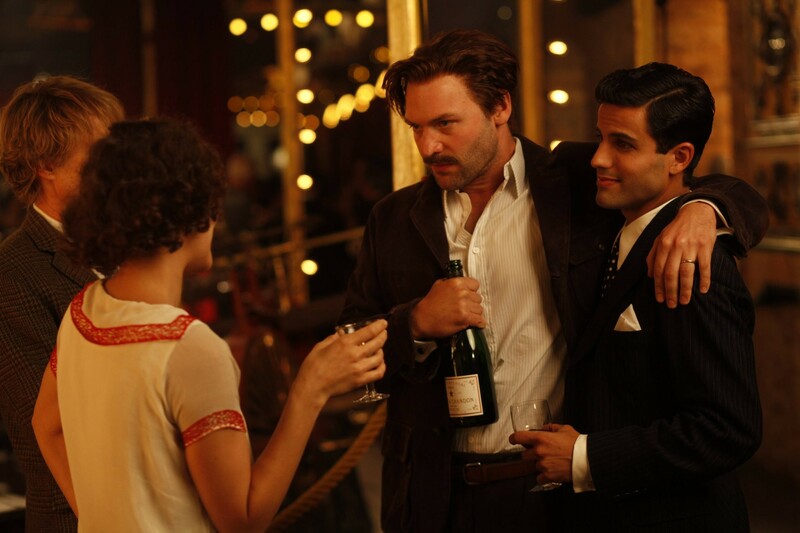 Hi, I’m Ernest Hemingway; Corey Stoll in Midnight in Paris. This piece was first posted on the Telegraph website in August 2014. It has since been edited. I read your very amusing article in the spirit of more-ammunition-to-bolster-my theory-that-Woody-Allen-has- been-crap-for years-ness and realised that there are no fewer than five Woody Allen movies I haven’t seen – thank God. Funnily enough, I think I have seen every single film Woody Allen has made. He’s been turning out about one film a year since for ever. They have might have gone off a bit lately, but that’s still a pretty amazing career, and he’s made more masterpieces than most film-makers could only dream of. I’ve found his recent films more frustrating than anything, because he is so obviously capable of better things. Maybe he just doesn’t care enough any more; making films seems like a nervous tic for him – he can’t stop doing it, but he’s lost the passion and perceptiveness that coloured the best of his earlier work. What a great read. In the future, when I have to explain my loving certain Allen films (apparently also your favourites) and despising others, I will not need to get all red-headed and wordy… I’ll just link to your article. Thanks! Glad you enjoyed it. Thank you for your generous words!